We don’t have gardens much anymore. But I remember working out when I was a boy in both of my grandfather’s gardens. Those are good memories. Our lives are like gardens and so are the people around us. She goes on, “I love the look, the smell, and everything about freshly tilled dirt. I would rather have a garden of only good clean dirt than one filled with overgrown, unwanted, or unhealthy plants. Turning over the soil helps me get to what I want, but it’s not enough. 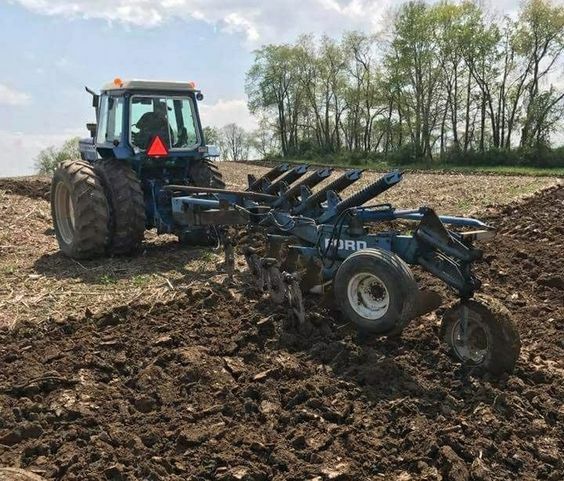 When farmers only cultivate the top couple feet and a half over and over again, what forms is a rock-hard layer of dirt called a ‘plow pan.’ It’s the dirt that doesn’t get touched. It looks like dirt and from the top, the field looks well tended to, but a couple feet down from the surface it becomes as hard as concrete. What happens in huge Midwest fields will happen in our lives too if we only til what’s on the surface. Our roots won’t go deep and we’ll stop growing if we let a plow pan develop. That is what we all need to do in our lives, isn’t it?